Chris Krusch was hired by UBC as a Junior Programmer Analyst with the Administrative Operating Systems group soon after he graduated from UBC with a Bachelor of Computer Science degree in December of 1985. As a Junior Program Analyst, Chris was trained as a systems programmer supporting the IBM MVS mainframe operating system that was being newly deployed to support the Universities administrative computing needs. 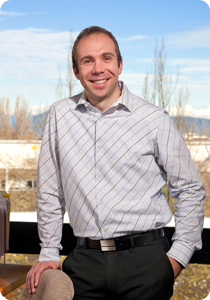 After four years in this position, Chris briefly left UBC to pursue another opportunity in the private sector but returned when the position of Manager for the Administrative Operating Systems group (which eventually became the Systems group after merging with Academic Operating Systems group) was available. In this role, he worked on transitioning computing services to UNIX systems and retiring mainframes that previously provided academic and administrative computing services. In 2001, Chris wanted to transition back to a technical role and was appointed as a Programmer Analyst within the Systems group and played a key role in developing Campus Wide Login (CWL) integrated authentication services for deployment of wireless services during the “University Networking Project.” Chris soon moved on to the Collaborations Applications team when it was formed in 2003 where he was the technical lead for design and deployment of UBC’s “interchange” mail system. In March 2008, Chris became the Systems Architect for the Systems team, a position he held for the past four years. In this role, he helped develop virtual server and virtual storage services, created processes to streamline and automate provisioning of these services, and assisted application teams with design and deployment of their applications within the service. Chris credits his previous roles for helping him gain the relevant experience and knowledge he needed to qualify for this position. From being a part of the Systems team for many years, he was already familiar with their past deployment projects. Throughout Chris’ career at UBC IT, he felt he received great support from managers whenever he transitioned to a new role. He encountered some great mentors along the way, especially in the early stages of his career. “From the beauty of the environment to the people working around you, UBC is a great place to work. The environment is incredibly supportive and work-life balance focused,” said Chris. Anthony Knezevic showed an early inclination for a career in computer technology when, while still in high school, he took a job working evenings and weekends with IBM global services. After completing a Bachelor of IT at the University of Canberra he came to UBC in May 2007 on a short term contract as a Network Coordinator for the MPAACT project (Medical Provincial Academic and Affiliated Campus Technology). In November 2007 he was offered the permanent position as Technology Operations Manager overseeing the operations for the MD program across the lower mainland. Two years later he switched portfolios and assumed responsibility for developing the southern medical program. Recent changes in governance have seen Anthony also tasked with managing video conferencing services for the Faculty of Medicine. Anthony attributes his success to three factors: his ability to quickly build and maintain relationships and alliances, his aptitude for identifying areas for improvement or development, and his focus on listening to and meeting the needs of his clients. “There are lots of opportunities to learn, develop and try new things at UBC” Anthony declares. 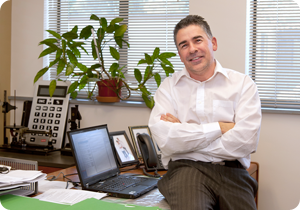 While completing a PhD in History at UofT, Leo Fernig took some software courses, realized he liked the field and ended up completing a diploma at Ryerson in computer technology. After four years as a programmer at UBC Leo accepted the opportunity to work on the new Student Information System. UBC was one of the few sites in the world using Sun Micro Systems Java programming language and Leo’s involvement exposed him to leading edge technology applications. As part of the group that wrote the self-admission module, Leo and his team were recognized with the Award for Excellence in Administrative Information Systems from EDUCAUSE in 2003. In 2007 Leo was asked to take on the role of Lead Architect on the Kuali Student Project, a consortium of 10 international institutions working collaboratively to build an open-source infrastructure. This three year assignment has recently ended and Leo is now part of the new Enterprise Architecture team. 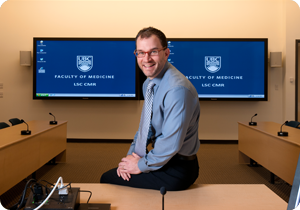 Leo explains “UBC is a leader in information technology on the North American stage, is always looking forward and is prepared to take calculated risks, and this makes it a truly exciting place to work”. 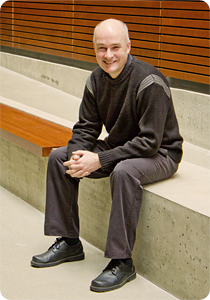 Dave Lampron started at UBC in 1994 as a ‘Research Assistant’ in the Department of Pathology. Although his primary responsibilities were to take care of the mouse colony he found himself tinkering with computers in his spare time. That tinkering turned into requests from researchers to assist them in configuring their computers, hooking them up to email, and developing their websites. 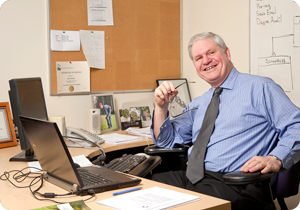 In the spring of 2004, the Faculty of Medicine started working on the first ‘technology enabled distributed MD program’ in the world and Dave was approached to work on the project. He gained exposure to many new technologies and project methodologies, and worked with a team that included external partners. As that project wound up Dave was asked to consider taking on the new position of Technical Operations Manager for the technology team (now called MedIT) that was just taking shape. He realized that although he enjoyed being a technology professional he did feel that he had some natural inclinations towards leading teams and so he accepted the challenge. Dave credits his communication skills, self-awareness, and humility – “I didn’t know everything, in fact I pretty well knew nothing, but I was very eager to learn” – for contributing to his successful career development. “UBC did many things to support my career development: provided me with challenging work assignments, mentors to guide me, financial and motivational support to complete an MBA degree, and career progression opportunities”. Trained in Voice and Data Systems with New Zealand Telecom, Bob Macdonald moved to Canada in 1990 and was hired by UBC to work on designs for Physical Infrastructure (Cabling, Electrical, and IT for new construction). After a few years as a designer, Bob decided he wanted to advance into a management position. He took the initiative to conduct an analysis of departmental operations and made a number of suggestions as to how they might be restructured. He explains “This prompted my superiors to look more closely and evaluate my capabilities for advancement, and I was offered a Supervisor position for the trades within my department” . In his new job Bob continued to demonstrate his eagerness to advance his career and so was given additional responsibilities including budgeting and overseeing design for the campus. When his manager left UBC, Bob moved into that job and, once again, was given extra responsibilities. With the latest realignment of services he now manages both the Connectivity Infrastructure group and the Network Management Centre. Bob describes his career path at UBC “I wanted to improve my standing within UBC IT, so that gave me the drive to work hard and get noticed. I was also working on things that would result in improvements to the department and UBC as a whole. I enjoy strategic and fiscal planning, setting up new teams, and implementing and adapting to change”.